R&P carries an extensive and balanced array of wines for all palates and dining occasions. With a selection of over 500 different types and a knowledgeable staff that is passionate about wine, it's easy to find the right bottle for any occasion. In addition to variety, we offer affordable prices and gladly accept special orders for those difficult-to-find wines. Below is a sampling of some of our more popular wines, organized by type. Just click on one of the links to learn more about specific brands and current prices. Also, please review our Specials page for current deals on wine. Please contact us at 413-253-9742 or info@rpliquors.com for more information or to order products. "From humble beginnings in the 1950s, Grange has maintained its place as Australia's most prestigious red wine over four decades. Today, it is a wine of international renown, with each vintage eagerly awaited by collectors both in Australia and overseas. Penfolds Grange is a wine of extraordinary dimension and power. Richly textured, intensely concentrated and packed with fruit sweetness, these wines, regardless of vintage, require medium to long-term cellaring. They develop into immensely complex, beguiling wines that seduce the senses. An Australian icon, Grange represents a tradition in winemaking that is totally uncompromising. Grange has bypassed the fads and trends of modern winemaking in the sense that it has maintained an integrity of style and remained true to its origins in the mind of Max Schubert. Penfolds Grange is the quality standard against which all other Australian red wines are judged. To share a mature Grange, 15 to 20 years old, in fine condition, is one of the great wine experiences." "The 2001 Marilyn Merlot grapes were harvested by our longtime growers from vineyards in the heartof the Napa Valley. The portrait featured on the 2001 Marilyn Merlot label is a sumptuous match for our 17th vintage. This photograph taken by Sam Shaw offers a tender, yet playful, view of Marilyn. 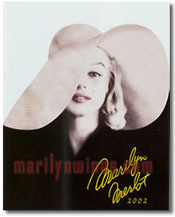 The 2001 vintage Marilyn Merlot is a blend of 97% Merlot and 3% Cabernet Sauvignon. The small addition of Cabernet gives the wine a more complex vinous aroma and a richer texture on the palate. The addition of 25% new oak barrels delivers the fragrance of milk chocolate that nicely compliments the black fruit flavors of the grapes." "The 2002 Marilyn Merlot grapes were harvested by our longtime growers from vineyards in the heart of the Napa Valley. This portrait of Marilyn wearing an easter hat was in a group of photos discovered in an abandoned brownstone in New York in the 1970's. The photographer is believed to be Carl Perutz. 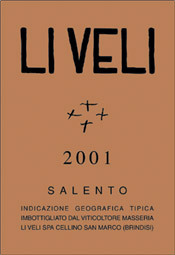 The 2002 vintage Marilyn Merlot is a blend of 91% Merlot and 9% Cabernet Sauvignon. A significant addition of Cabernet adds greater complexity to the aromas and flavors of the predominately Merlot based wine. Our annual addition of 25% new oak barrels results in aromas of toasted vanilla beans that nicely enhance the plush flavors of the black fruits." "Opus One 2002 is a cabernet sauvignon based wine. Opus One, a supple, creamy entry is followed by intense flavors of ripe black cherry, cassis and dark chocolate, finishing with lingering black fruit and savory spice. It’s a blend of 86% cabernet, 6% merlot, 3% cabernet franc, 3% malbec and 2% petit verdot." "Grapes: Negroamaro. Ageing: 6 months in wooden casks and steel. Refinement in bottle: 6 months. Alcohol content: 13% vol. Serving temperature: 18°C. Characteristics: deep ruby red colour with violet huges, full and persistant fragrance, marked by fruit from prune and cherry; notes of crackled pepper; strong body; on the palate, warm and radiant, flavours of pulpy fruit with structure and compact body; a long finish with scents of raisens and almonds. Serving suggestions: all types of meat and duck dishes; best with aged and medium aged sheep's cheeses, as well as salami."